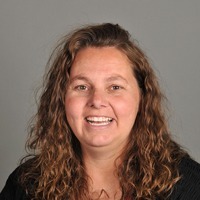 Kim Bentley is the Assistant to the Director of the Campus Leadership & Involvement Center (CLIC). Prior to coming to the CLIC, Kim was an office assistant in Office Services here at Denison. Kim oversees the paraprofessional staff in CLIC (called the CLICkers), works with campus organization leaders on registration and renewal, forms, key requests, and the Involvement Fair and manages office budgets. Kim also originates event publicity for our office-sponsored events through the Summer Programming Calendar and This Week on Campus. Kim has three children. She spends her free time with family and enjoys going to sporting events and scrapbooking with friends.